When it comes to altercations in the National Hockey League, you expect to see to big guys throwing hands with each other almost every single game. What you don’t expect to see is a Mike Tyson type of situation to jump off. During a game against the Golden Knights game in Las Vegas — Nashville Predators star P.K. 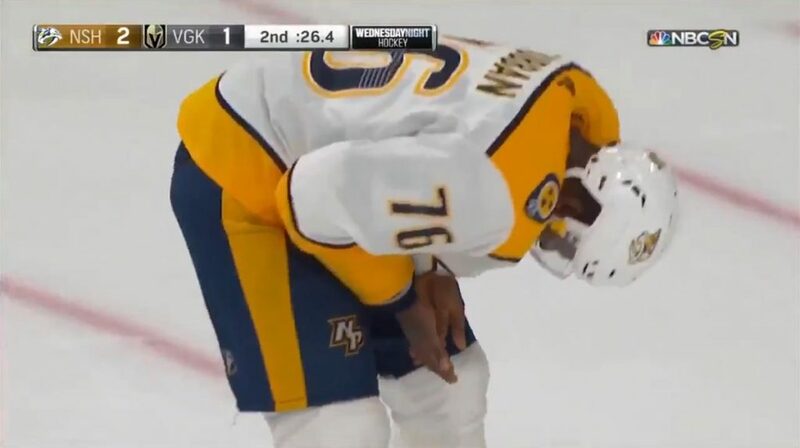 Subban had his finger bitten by Pierre-Edouard Bellemare after he came to his teammate’s defense. No word from the league if any actions will taken against Bellamare.